Who Needs a Travel Mug? Whether you travel by car, subway, horse or unicycle, your commute isn't complete without a coffee thermos, to ensure your hot or cold drinks arrive with you at your destination ready to be enjoyed. An insulated travel mug enables you to take piping hot coffee or ice-cold soda with you, to drink en route or when you arrive at your destination. This saves you money, as you don't need to purchase drinks whilst you're out. Many travel mugs can be used with kitchen coffee makers, meaning you can enjoy genuine barista-quality coffee without the wait, or the ludicrous price tag! Offering a sleek, stylish alternative to the bulky plastic flask, contemporary travel mugs are a must for the modern man or woman on the move. The biggest weakness of this travel mug is that it works so darn well. It keeps coffee piping hot for a full hour and will keep it at 154 F for six hours. You're more likely to find yourself opening it to let it cool off than complaining that it lost its heat too fast. And this isn't the sort of flimsy product that opens whenever it wants - when you close it, it will stay closed until YOU tell it to open. That's craftsmanship. And by the way - it's not going to go all Old Faithful on you and splurt out brown stuff every time you open it - no sir! It's going to keep its contents inside - exactly where you want them to be. 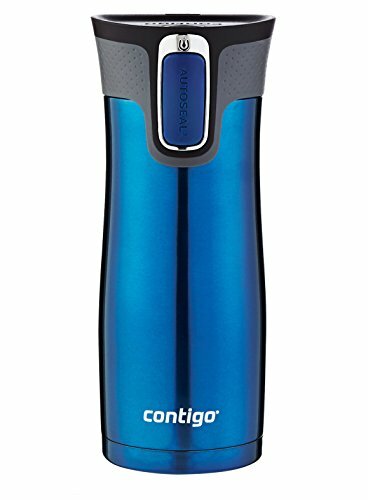 The Contigo Autoseal comes in a range of stylish colors, offering a perfect match for any suit, sports outfit, or leisure ensemble. It offers autoseal technology, which automatically closes the lid between sips. The autoseal comes with lockable lid to prevent spills when the mug is placed in a purse, or on the back seat of a car. The Contigo keeps hot drinks warm for several hours, and fits most standard cup holders. It is easy to clean. Of course, it is important to remember to activate the lid lock, as this prevents spills when the mug is not in an upright position. The Rtic 30 ounce is made from stainless steel, and comes in a range of bright, contemporary colors, ensuring you look on-trend whilst staying hydrated. 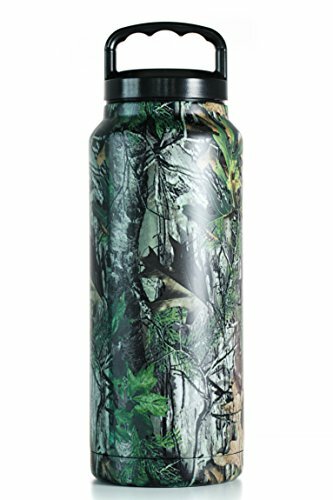 It's equally useful for keeping cold drinks cool, and the camo effect on the pictured model is so good they recommend you tag it with a chip so you don't lose it in the woods! The Rtic does need to be kept upright to prevent spills, and is somewhat heavy to carry around all day. It is also not dishwasher safe. The Magnum travel mug comes in a 20 and 30 ounce option, giving you the choice of your size of beverage. Made from stainless steel, the Magnum is easy to clean and comes in a range of colors. The lid of the Magnum has attracted a lot of criticism, with many people saying it lets down an otherwise perfect travel mug. 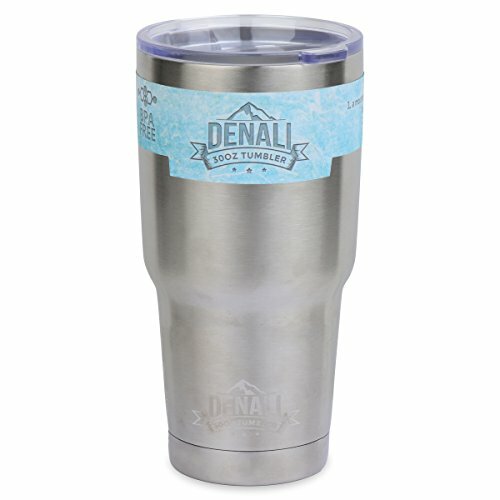 The Denali Drinkware is double-wall insulated, and made of stainless steel. This means it keeps hot drinks warm for up to six hours, and cold drinks chilled for 24hours, making it ideal for festival-goers, as well as commuters who work long hours. The Denali is non-sweat, meaning you won't be looking round for a coaster. However, it is not dishwasher safe. Finally, the Cypress Home is ceramic, which means it won't keep a hot drink warm for much longer than a regular mug. 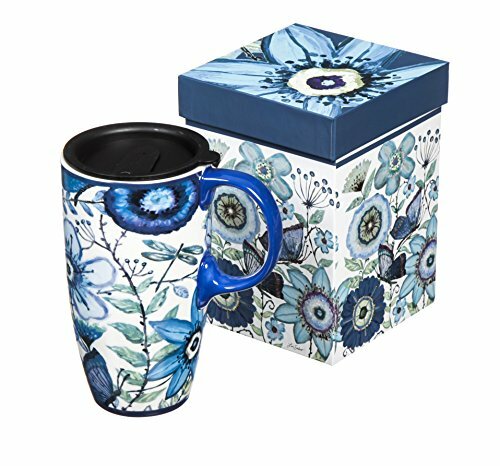 It does have a plastic lid, which prevents splashes, and comes in a striking pattern that will definitely get you noticed. This mug is dishwasher safe, and can be microwaved. This mug, as well as being heavy to carry around all day, would also be easily broken, and is not leak-proof unless it is kept upright. Therefore, it is probably best suited to people who work from home, and don't want to risk being splashed as they're carrying hot drinks. Travel coffee mugs are ideal for commuters, students, and festival-goers. Offering you the opportunity to save money and reduce waste, by not buying take-out coffee in throwaway mugs. Travel mugs, being better insulated, are often more comfortable to handle than a traditional mug – so, even if you're commute only takes you from your bedroom to your study, you may well find you prefer having a stylish, comfortable travel mug handy! Travel mugs are also useful to ensure you have cool, refreshing water to hand should you wake up thirsty during the night, or if you are unwell. Simply fill with cold water, add ice if you like, and place on your bedside table. The design of a travel mug will ensure that your drink is kept fresh and cold, whereas standard glasses tend to allow water and other cold drinks to warm over time. If you walk or take the subway to work, you'll want to invest in a travel mug with a fully locking lid, to protect you from spills and splashes, and one that is leak proof even when its not upright, so that you can toss it in your purse or backpack to keep your hands free, and be rest assured that your drink won't spill. A non-sweat travel mug is ideal to use in and around the office, as it can be placed on a desk without leaving water stains on the surface. If you are traveling by car, make sure the size of travel mug you buy is suitable for your car's cup holder, or invest in a travel mug with a lockable lid, that can be safely placed on the passenger seat, with the peace of mind of knowing that the locked lid will prevent your drink from spilling even when the mug is not upright.